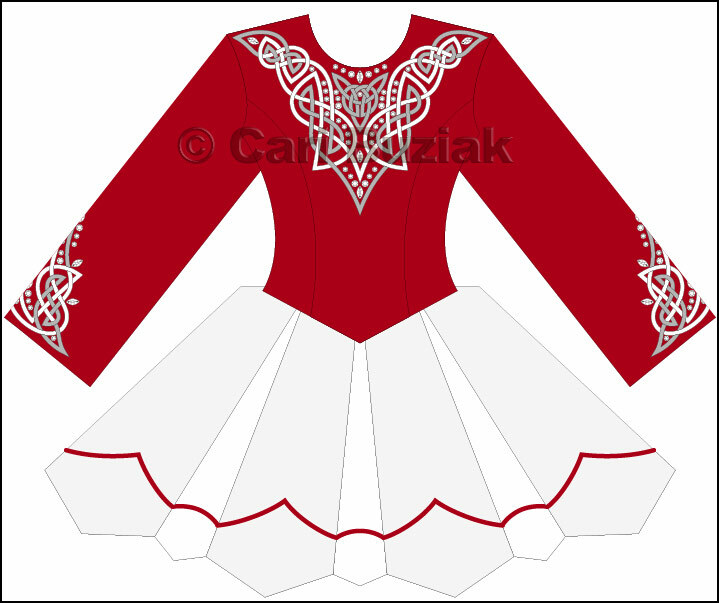 Celtic designs for use on personal Irish dance dress bodice. The white knotwork will be in white embroidery, the grey areas will be in silver, all on red fabric with lots of stones. Should be so pretty when finished!